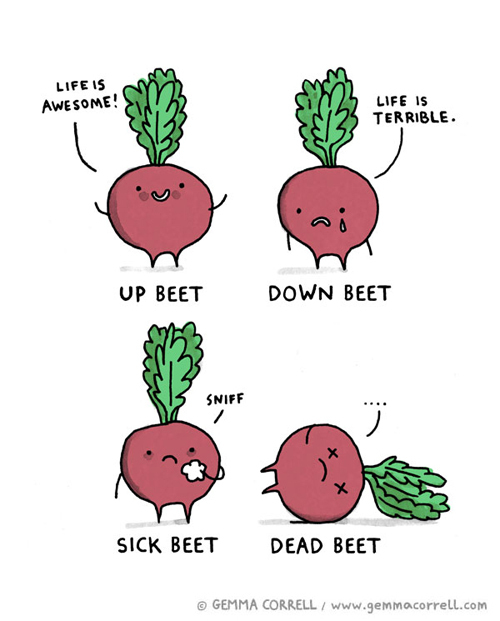 Beets are really weird. They're purple and squishy and have been described as tasting 'meaty'... personally, I think they're delicious, but they can take some getting used to! You may have heard of some of the health benefits of beets: they dilate your blood vessels to improve blood flow and lower blood pressure, they guard against cancer and heart disease, they're a great source of healthy carbs... but did you know that many studies have shown that they can also improve athletic ability? VO₂ is the measure of the amount of pulmonary oxygen you harness during exercise. The better your oxygen uptake, the better you will be at endurance drills... that's one reason the coaches keep screaming at lovingly reminding us to open up our lungs and BREEEAAATHE all the time. Beet juice helps to REDUCE the oxygen cost of exercise, lowering the rate at which your body uses up oxygen. You also get the bonus of increased tolerance of high-intesity work rates, as well as a much lower perceived exertion level. So really, you're doing more, with better efficiency, and feel like you're doing less! It's the ultimate lazybutt's dream. 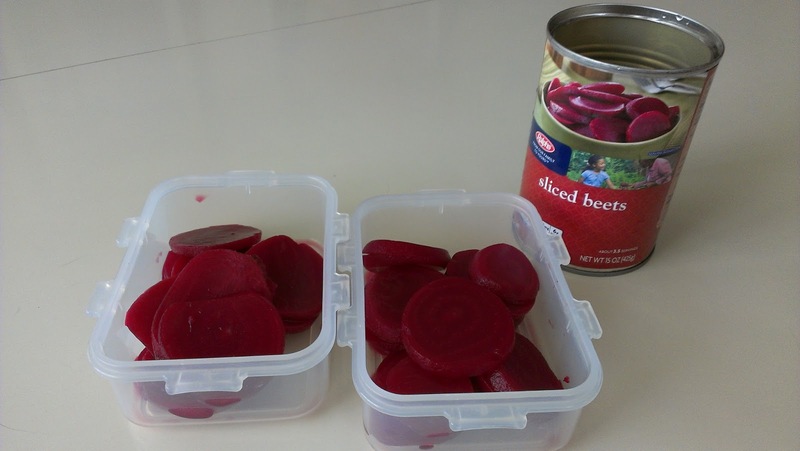 What we do: Canned sliced beets from Ralphs are cheap and easy to take on the go! Just ONE DOSE of the purply stuff 1-3 hours before an event can help give you a small improvement in performance. In a study with cyclists, it took just one dose of 500mL of beet juice 2.5 hours before a time trial to improve. 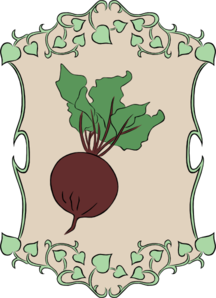 In the wise words of Captain Roger: "Just beet it! Hahaha I'm so punny!" "We got soda... OJ... purple stuff!"